Birders have the option of booking one of our rental log cabins for just $55.00 a night, plus tax. We are located in the southern most point in Ontario and just a few minutes away fromPoint Pelee National Park and Hillman Marsh. Our birding special is available during the annual Festival of Birds. Our campground is a prime location for those who love to see a wide variety of species and enjoy a unique blend of vegetation in the marshes, jungle-like Carolinian forest and Savannah grasslands. 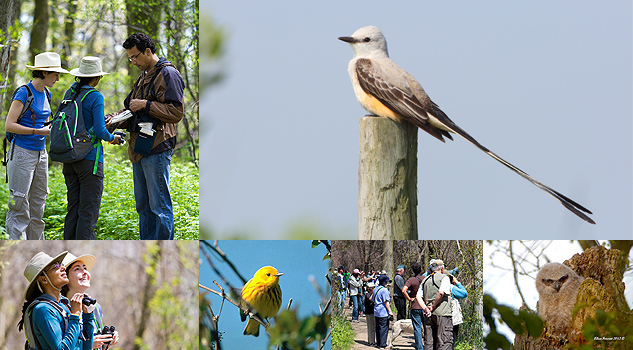 More than 370 species of birds have been recorded at Point Pelee and the surrounding area. If you know someone who enjoys Birding make sure you let them know before we are booked up! Join us for opening weekend and camp for a minimum of two nights for just $65.00, plus tax. You can start the camping season off with some fun activities for both the kids and adults. 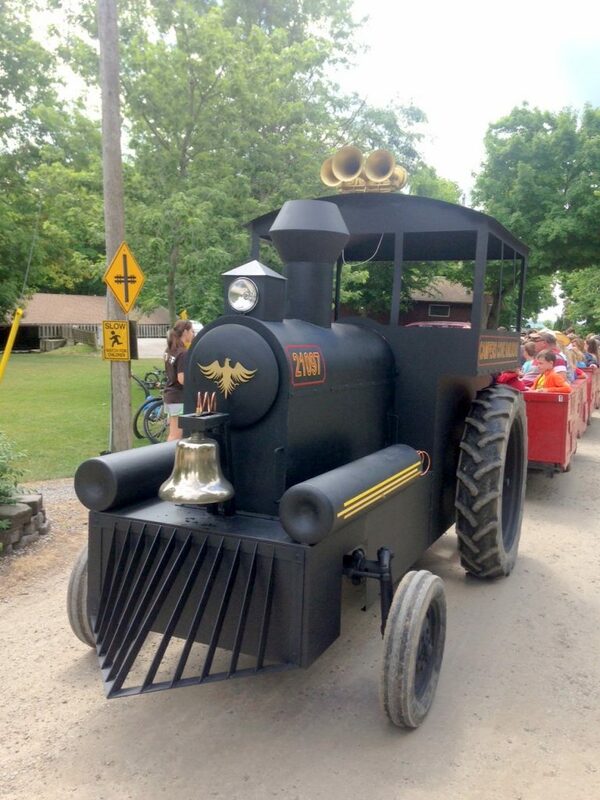 Enjoy a Tootee train ride, family bingo and Easter Egg Hunt. We are approaching this weekend quickly. Yeah! Let your friends know. This is a popular weekend and has become a favourite with our campers. You reserve two sites for the price of one! We call that a win-win. During the weekend we offer a variety of activities including: a scavenger hunt, marshmallow roast, a family dance and adult beach bonfire tunes. The end of May is the perfect time to get away with family or friends. We cherish our time with family and friends and thought offering a “two for the price of one” sale would allow many families an opportunity to enjoy the great outdoors together. We have a half dozen sites and just two cabins are available! The fall months are also a time when birders can take advantage of our location and rates. You can rent one of our log cabins, any night of the week, for $65.00 plus tax. Enjoy the campground events and venture to prime local bird watching sites. Enjoy Fall birding options at Point Pelee National Park or perhaps enjoy a visit to the Jack Miner’s Bird Sanctuary. Always a favourite spot for campers both, young and old. We have some weekday cabins available! 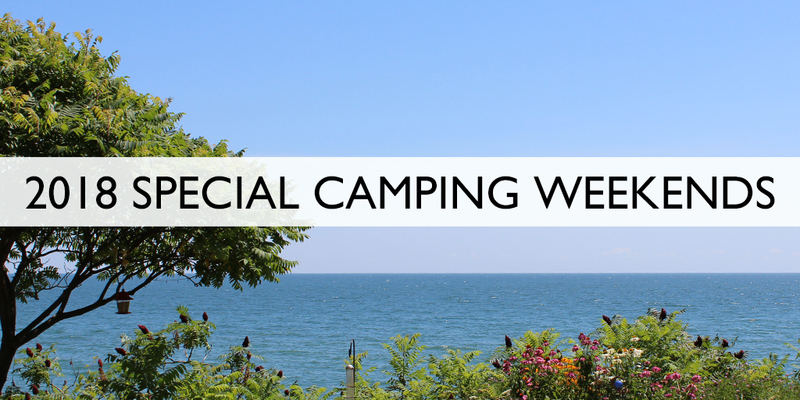 As camping season nears an end, we like to have a special weekend to appreciate our campers. When you camp this weekend, for a minimum of two nights, you only pay $65.00, plus tax. During the weekend we enjoy our appreciation dinner, a family dance and more. This weekend is full of fun and friends sharing memories of their summer adventures. Just a few sites left! To Stay Up To Date On Everything Campers Cove, follow us on our Social Sites!